Alicia Silverstone Wants Me to Go Vegan! I'm pretty sure she wants you to go vegan too! Last weekend I picked up her New York Times Bestselling book, the kind diet - A Simple Guide to Feeling Great, Losing Weight, and Saving the Planet. I don't usually pick up books with the word "diet" in the title - not that I don't need to diet - I just don't read those books. It was the "Saving the Planet" part that caught my eye. - All those cows are contributing to global warming & climate change because they emit so much methane gas, which is a greenhouse gas. Apparently those cows are emitting a WHOLE LOT of it. - The meat industry is creating too much um, excrement, fertilizer, and sludge and that waste is creating water pollution. - It takes much, much more water to produce meat products than plant-based food. One statistic in the book says it takes somewhere between 441 gallons to 2500 gallons of water to produce 1 pound of beef, while 1 pound of carrots takes only 33 gallons. It also takes more fossil fuels than say, growing grains. OK, that seems plausible. Cows & pigs & chickens also eat a lot of food and much of the food that could be used to feed people is used for livestock. I remember this from somewhere else too - on how much money the meat & corn industries get from the government. That's a whole other post! - Grazing cattle are destroying the soil of places like the American west. Well, personally, if I am going to eat meat, I kind of want it to be grazing vs. locked up in a dirty barn or something. What I don't want, is to be responsible for the destruction of the rain forest, which is what is happening in South America. As more and more land is cleared for the raising of cattle, we're losing precious rain forest, which produces oxygen and is an important source of biodiversity, medicines, etc. - The issue of messing with the ocean was brought up too - only I didn't really get that part. Other than the part where she says the oceans are being over-fished. I also like the part of the book where she lists what she calls "kind" foods. I'll consider them substitutes for the things I'd like to limit. While some are fairly simple to find, the lists of Japanese ingredients was daunting to me. However, walking into Whole Foods I found a section with many of the very new to me items like sea vegetables. Hmmmm....now to get the courage to try them! Earth Hour - Coming To You Soon! It was my Canadian friends who clued me in to the concept of turning off the lights, turning off the TV, turning off everything for an hour as part of a global campaign on climate change. Earth Hour started in Australia in 2007 and by 2010 there were 128 countries participating! I believe it has evolved to be about more than climate change and has grown to encompass a GREEN/sustainability movement. Even if it's just for an hour - it's a pretty powerful thing. Here's the official video for Earth Hour 2011 if you haven't seen it yet. I liked the one they did last year a lot too - but I thought perhaps 2 videos was a bit much! The website, which is really quite cool, has added a platform for people to pledge what they plan to do beyond that hour (they're referring to it as 60+, or "Beyond the Hour.") I couldn't really get that part of the website to work well for me - I'm sure they mean well though :) It's about what actions people will apply to be GREENER. They have a nice link in my sidebar if you hadn't noticed! So, guess who will be sitting in the dark (or maybe if it's nice outside sitting on the terrace watching stars) on Saturday March 26th from 8:30-9:30pm? Maybe I'll host a little neighborhood soirée with organic wine & candles! Hope you'll be enjoying the darkness too! Happy St. Paddy's Day my GREEN friends!! Let's REALLY GREEN our Beer for St. Paddy's Day! For several years now my family has hosted a French Exchange teacher during the month of March (with the exception of this year, as a Russian Exchange teacher needed a home.) Every year the exchange teachers are ridiculously fascinated with the practice of drinking GREEN-tinted beer on St. Patrick's Day. It strikes me as hilarious seeing as how when we visit them in France we drink champagne or really exquisite wines produced by one of their family's own vineyards, but when they visit they want to have a GREEN beer? Anyone else see the humor in this? It got me thinking about which brewers really are making GREENER beers through environmentally-friendly practices, use of organic ingredients, anaerobic digesters, or GREEN facilities. Turns out there are MANY brewers out there that I can cheer for from my wine cellar (while I enjoy a good pint here and there, I'm more of a vino girl - blame the combination of my extreme Frenchiness & studying abroad perhaps!) There was even an article in Photon Magazine (yes, dear Photon Magazine that same one who featured my blog!) about US beer makers using photovoltaic energy. In the interest of moving along so we can actually get to the business of drinking those GREEN beers, I'll keep it short & simple, and share the skinny on HOW the beer business is going (or has gone) GREEN and examples of WHO is doing the right thing - so that we can of course, support them! Turns out there are several ways that brewers have implemented being environmentally-friendly, and those practices vary across the globe. While I don't drink Anheuser-Busch products, owned by a Belgium-based company, they have been practicing GREEN business for a very long time - at least 25 years - longer if you read their website! They have massive, sophisticated solar arrays and their "Bio-Energy Recovery System" is reported to generate 16-18% of the company's energy at about a dozen of their US breweries. My understanding of that is that they use micro-organisms that convert/digest waste effluent into biogas which is used to run boilers, which offsets fuel costs and reduces greenhouse gas emissions. Awesome, right? On the East Coast we have Brooklyn Brewery who uses 100% sustainable wind power and makes use of their organic waste for farming. It hadn't occurred to me that organic waste can be sold to farmers for cattle feed, which is a practice also shared by Coors Brewing Company, who also converts waste beer into alcohol automotive fuel and claims to have been on the GREEN scene close to 50 years thanks to their use of recyclable aluminum cans. They're also responsible for recycling their own wastewater and that of the entire city of Golden, CO. OK, that's pretty cool. 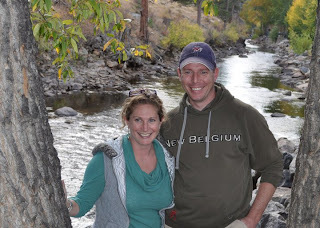 I had never heard of Colorado-based New Belgium beer until my friend in Fort Collins, CO posted pics of her hubby (aren't they a gorgeous couple? They're probably the coolest people you'll ever meet too!) wearing their apparel a while back (turns out I am the last to know about this GREEN company, and the more I know the more I like them! When ever I asked someone about eco-friendly beers, New Belgium was the first name to pop up!) I did know, however, that Colorado is pretty advanced in the GREEN-brewing scene as well as in living GREEN as a general mantra. New Belgium is known as the 1st US brewery to use wind-power, reuses the methane produced in the water-treatment process to generate electricity & heat, turns waste into cattle feed and does crazy awesome things like ask people to give up their cars for a year in exchange for a cool bicycle. Other Colorado GREENIES include Odell Brewing Co., who draws from the grid during times to avoid peak energy demand. They have developed a system that tells them when there is too high demand for electricity and their computers shut down certain features in the brewery in response to that. Some brewers are using various fuel cell technologies, such as Sierra Nevada & Fosters (yay, those sometimes find themselves in my fridge!) Others like Japanese Sapporo are using biomass fuels. In Germany, a company called Felsenbrau Thalmannsfeld is producing a beer (Solarbier) with 100% renewable energy! Butte Creek Organic Brewing Co. Whole Foods has Local Foods! It's no secret...I've previously declared my undying love for Trader Joe's. I drive 30 minutes each way to shop there (but I do combine trips and go every 10 days or so when I have other business in the area.) I love just about everything about them. There is only one area (OK, maybe 2 if you count the amazing cheese counter) in which I wish they were more like Whole Foods. That is that Whole Foods carries local products. 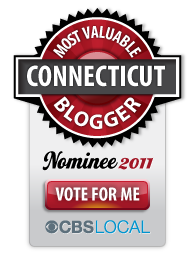 I'm talking Connecticut & New England cheeses, meats, produce, seafood, etc. The first time I noticed local products there was when I spied the fantastic Ashlawn Farms coffee from Lyme, CT. The yelp you might have heard in the coffee aisle - that was me! I had only ever had their coffee straight from the farm where they roast their own beans which I've enjoyed on every trip to the gorgeous farmer's market they host on weekends in season. (I've been known to go back for a 2nd cup of coffee - it's that good!) The 2nd time was when I found the Re-Snack It reusable snack bags for my little one. Those too are from a Connecticut company. It turns out that Whole Foods has something they've dubbed the "Foraging Program" where they have "foragers" in their New England stores who seek out local products to carry. They even put out a newsletter to tell buyers what local products they're featuring or have recently added. The latest issue had CT-made Carol Monnerat Artisan Truffles on the cover....mmmm....and inside was black currant juice from Preston, CT and pesto from Bear Pond Pestos of Glastonbury! I have a feeling there are more to be found in-store, and they have a long list of New England products that we can feel good about buying. So as happy as I am that I can get a good French cheese, I'm just as thrilled that I can buy The Farmer's Cow Lemonade (you HAVE to try it this summer!) there as well. As much as I am feeling the love for Whole Foods right now, I can't afford to buy all of my groceries there. The prices are just too high, but if I shop the values (and there are plenty to be found) make my $ go further by buying the most necessary organics and maybe even use their coupons, I can happily support a company who supports local farmers. That's GREEN!